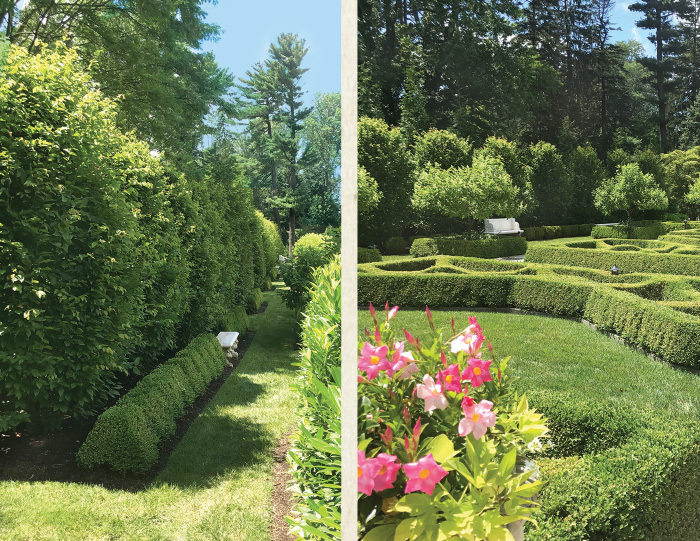 Case Study Underperforming Hornbeam Hedge in Devon | John B Ward Co.
A three-year-old hornbeam hedge in Devon, PA developed leaf bronzing and growth inconsistency in the late summer of 2016. The hedge had been properly planted, irrigated and mulched. We decided the best course of action was to vertical-mulch the hedge. 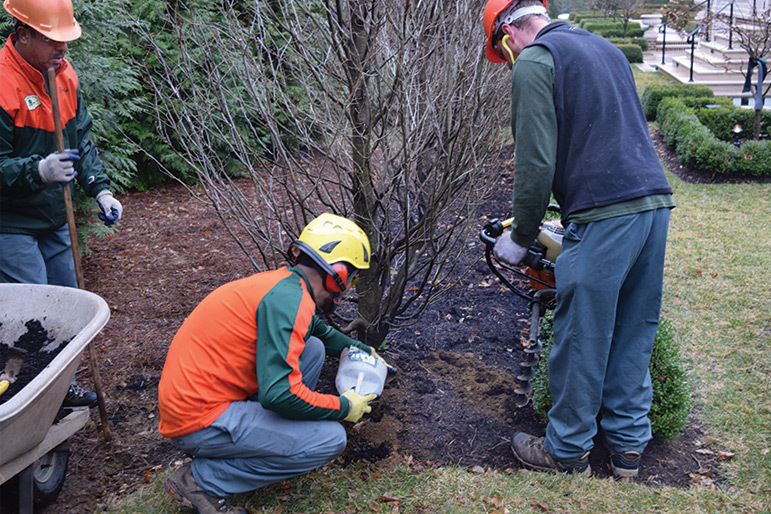 Vertical mulching is a process of drilling a series of holes, 2.5 inches round and about 6-12 inches deep, depending on soil conditions. We fill the holes with a unique humus-rich organic compost. This compost increases organic matter and beneficial microbial populations in the root zone. Soil quality, fertility and root growth are increased. Other desired benefits include increased macro and micro nutrients, improved soil structure and enhanced soil drainage and moisture retention. We performed the vertical mulching in early 2017, when we pruned the dormant hedge. The hornbeam hedge performed very well in 2017. The trees pushed healthy new growth and maintained a brilliant rich color all season. The hornbeam hedge in July, 2017 looking strong!